Happy Monday! We’re back from a fun-filled weekend in Eufaula and gearing up for our next adventure later this week: deep-sea fishing in the Gulf. Did I mention my husband likes to be on the GO when I’m off for the summer???? 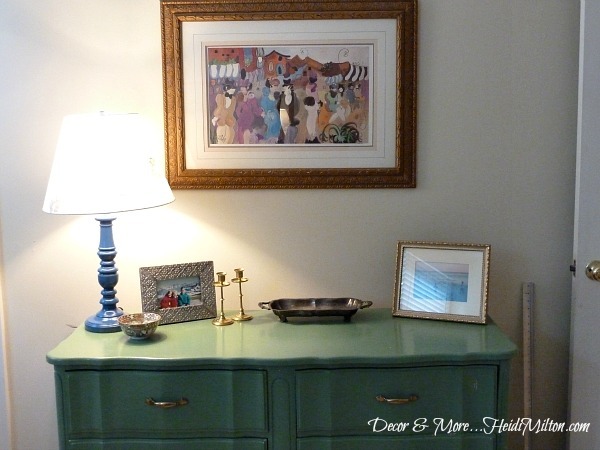 Here’s a little secret about the artwork in my guest room: I hardly spent a thing. I also added a mirror we had in the master and I love the oval shape among all the angular framed pieces. 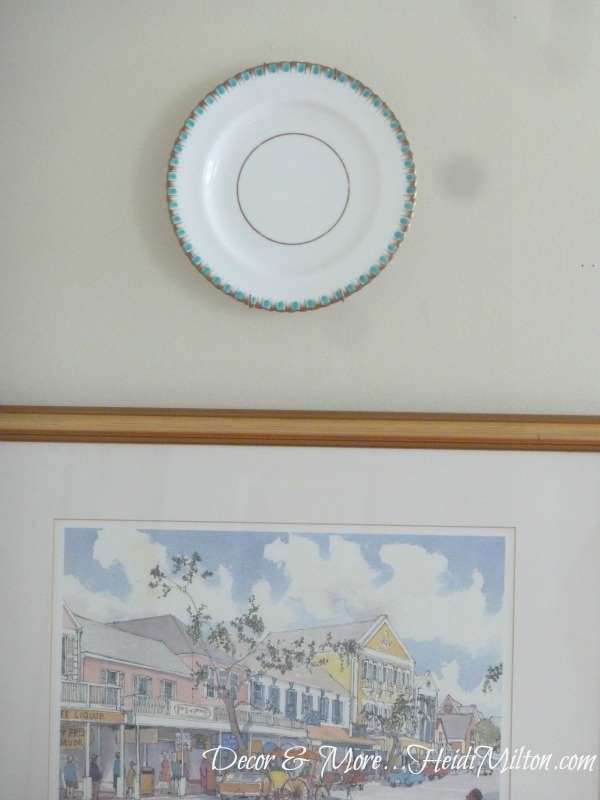 Little vintage dessert plates I found among my grandmother’s things… I love the turquoise and gold! 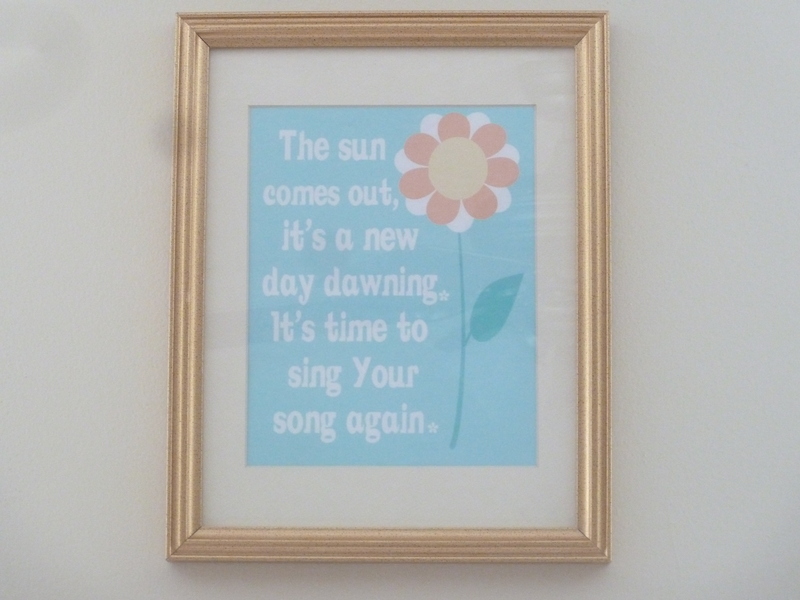 I got this from my friend Emily at 52mantels.com — a free printable! Not only is it a sweet message, but the colors are amazing in this space. 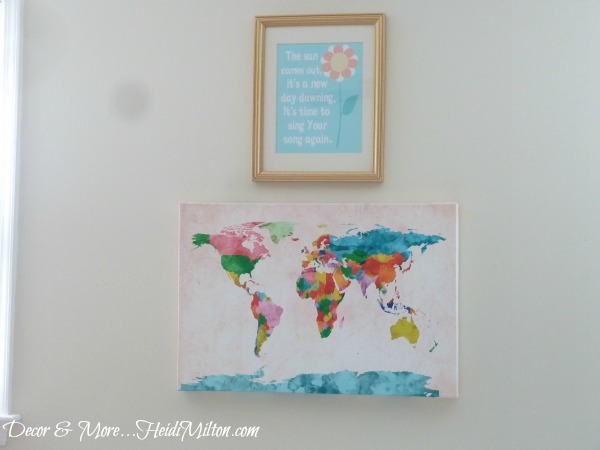 Emily regularly shares her creative printables and I’m so thankful I had the perfect space for one! I had the frame in an old stash of frame photos. The gold feels right in here with the other gold frames and brass accents. I spent an hour or so browsing her site and landed on these three vintage botanicals. 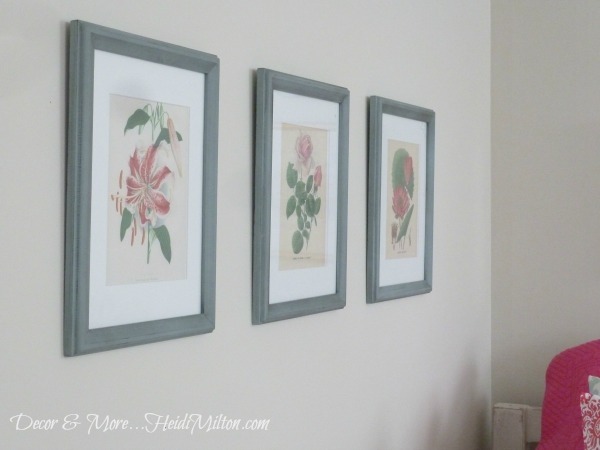 I printed them on cardstock and popped them into their frames… and I love the look of them. The total cost of my guest room artwork? The $39 I spent on the watercolor map canvas. So let’s hear it — what’s your favorite piece of wall decor in your home? Enjoy the day! I’m trying to talk myself into having a garage sale because I have FAR too many boxes sitting in my basement…. but then I think what if I redo a space and need this stuff?? You totally just proved that point. Oh my goodness, that watercolor print looks like old Roswell from back in the OLD days (long before our time). Is that of old Roswell–Canton St/Elizabeth St area?? i just love that watercolor map! Love your artwork…and love the cost! !…Have fun this weekend!…You certainly are getting your summer off to a great start! I just LOVE those happy colors, especially the watercolor map and little print above it! 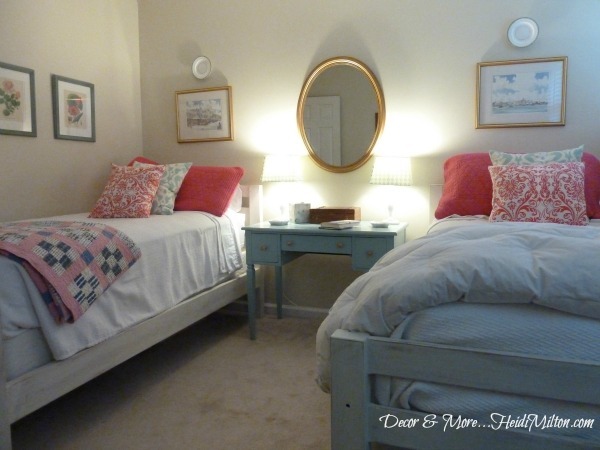 What a relaxing, happy guest room!